Buried in the Clonbeg Church graveyard near Newton in the Glen of Aherlow. 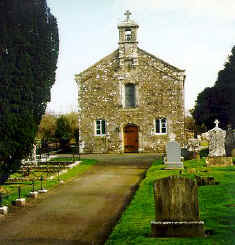 Dean & Rector: Dr. P. N. Knowles: The Deanery, Cashel. 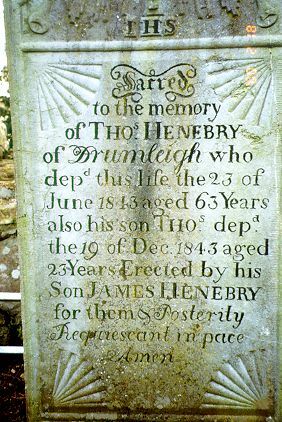 "To the memory of William Henebry of Kilscanlen Who dept this life the 13th of April 1830 aged 70 yrs. 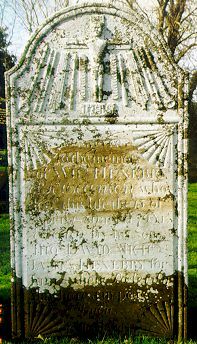 Erected by his sons David, Michael & James Henebry for him & their posterity. May he rest in peace."